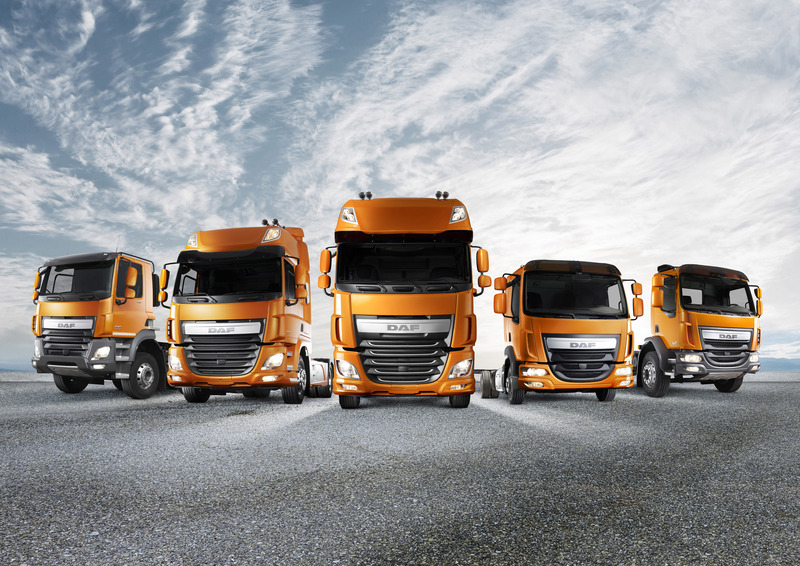 PACCAR Achieves Good First Quarter Results - DAF Trucks N.V.
First quarter 2016 net sales and financial services revenues were $4.30 billion compared to $4.83 billion for the first quarter of 2015. PACCAR earned adjusted net income (non-GAAP) of $348.0 million ($.99 per diluted share) in the first quarter of 2016, excluding a $942.6 million non-recurring charge for the European Commission investigation of all European truck manufacturers. The Company earned net income of $378.4 million ($1.06 per diluted share) in the first quarter last year. Including the non-recurring charge, which is not tax deductible, PACCAR reported a net loss of $594.6 million ($1.69 per diluted share) in the first quarter of 2016. The Company will continue to evaluate the amount of the charge pending final resolution of the proceeding. PACCAR repurchased 1.1 million of its common shares for $56.3 million during the first quarter of 2016. Under the current Board of Directors authorization for $300 million of stock repurchases, PACCAR has repurchased 3.8 million shares for $192.6 million. “PACCAR’s excellent net profits and cash flow make the company’s shares an attractive long-term investment. The stock repurchase program reflects the Board’s confidence in PACCAR’s successful global business growth,” said Bob Christensen, PACCAR president and chief financial officer. Consolidated net sales and revenues of $4.30 billion. Adjusted net income of $348.0 million (non-GAAP), excluding a $942.6 million non-recurring charge for the European Commission investigation. Net loss of $594.6 million. Truck, Parts and Other gross margin of 14.9%. Cash generated from operations of $795.8 million. Financial Services pretax income of $80.3 million. Research and development expenses of $59.6 million. Manufacturing cash and marketable securities of $3.23 billion. Stockholders’ equity of $6.34 billion. PACCAR’s 17 parts distribution centers (PDC) support over 2,000 DAF, Kenworth and Peterbilt dealer service locations. PACCAR Parts generated quarterly revenues of $719.5 million in the first quarter of 2016, compared to $752.7 million achieved in the first quarter of 2015. First quarter 2016 pretax income was $134.6 million, compared to $138.9 million earned in the first quarter last year. PACCAR Parts’ pretax return on revenues increased to 18.7%, compared to 18.5% in the first quarter of 2015. “PACCAR Parts’ sales growth over the last five years has been driven by ongoing investment in distribution, technology and products, and an increase in the North American and European truck parcs,” said Harrie Schippers, PACCAR senior vice president. PACCAR Parts opened its new 160,000 square-foot PDC in Renton, Washington this month. The PDC provides enhanced aftermarket support for dealers and customers in the Pacific Northwest and Western Canada. PACCAR is an environmental leader as reflected by the industry-leading fuel-efficiency of its Kenworth, Peterbilt and DAF trucks. The Kenworth T680 Advantage is Kenworth’s most fuel-efficient truck. Newly-designed aerodynamic features enhance the airflow around the vehicle. 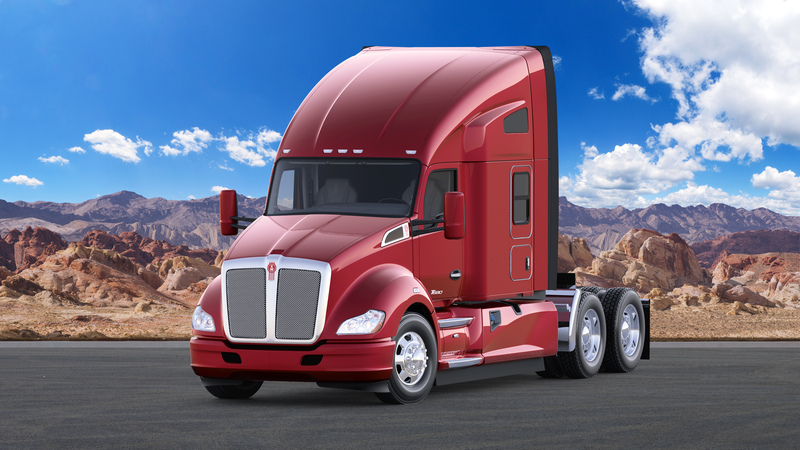 “Kenworth engineers continue to innovate and develop enhancements that will provide fuel economy gains for Kenworth customers,” said Mike Dozier, Kenworth general manager and PACCAR vice president. PACCAR’s excellent long-term profits, strong balance sheet, and intense focus on quality, technology and productivity have enabled the company to invest $6.0 billion in world-class facilities, innovative products and new technologies during the past decade. “In 2016, capital expenditures of $325-$375 million are targeted for new product development, enhanced manufacturing facilities and aftermarket support programs. Research and development expenses are estimated at $240-$260 million this year as Kenworth, Peterbilt and DAF invest in industry-leading products and services to enable our customers to enhance the performance of their businesses,” commented George West, PACCAR vice president. Peterbilt began construction of a 102,000 square-foot expansion to its truck manufacturing facility in Denton, Texas during the first quarter of 2016. “This expansion is Peterbilt’s largest facility investment since the construction of the Denton plant in 1980 and will enhance our manufacturing efficiency and provide additional production capacity,” said Darrin Siver, Peterbilt general manager and PACCAR vice president. Peterbilt’s truck factory in Denton, Texas, earned Frost & Sullivan’s Manufacturing Leadership Awards in 2016. The Manufacturing Leadership Awards honor companies that are shaping the future of global manufacturing. Peterbilt was honored in the ‘Operational Excellence Leadership’ category for truck assembly and quality management processes. PACCAR will hold a conference call with securities analysts to discuss first quarter earnings on April 26, 2016, at 8:00 a.m. Pacific time. Interested parties may listen to the call by selecting “Q1 Earnings Webcast” at PACCAR’s homepage. The Webcast will be available on a recorded basis through May 3, 2016. PACCAR shares are traded on the Nasdaq Global Select Market, symbol PCAR. Its homepage is www.paccar.com.